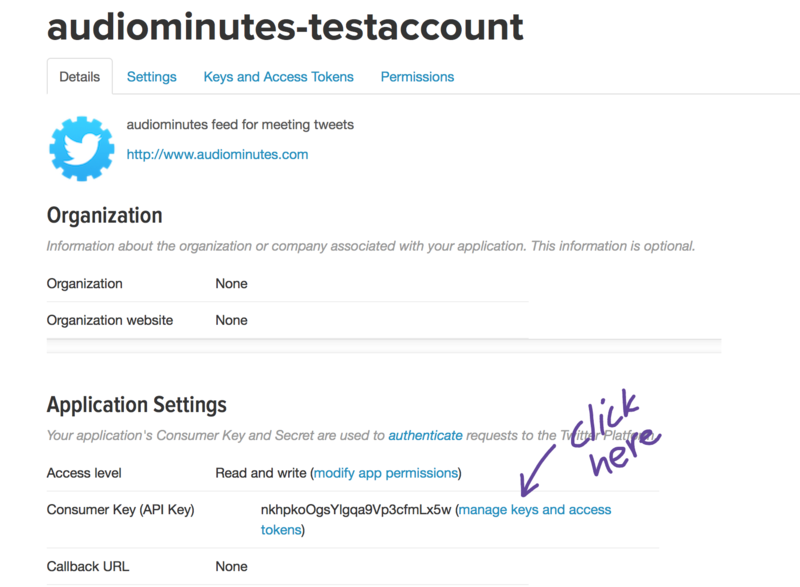 Audiominutes can send out Tweets on your behalf either at the beginning and end of each meeting or at the beginning, end, and when each agenda item is reached. 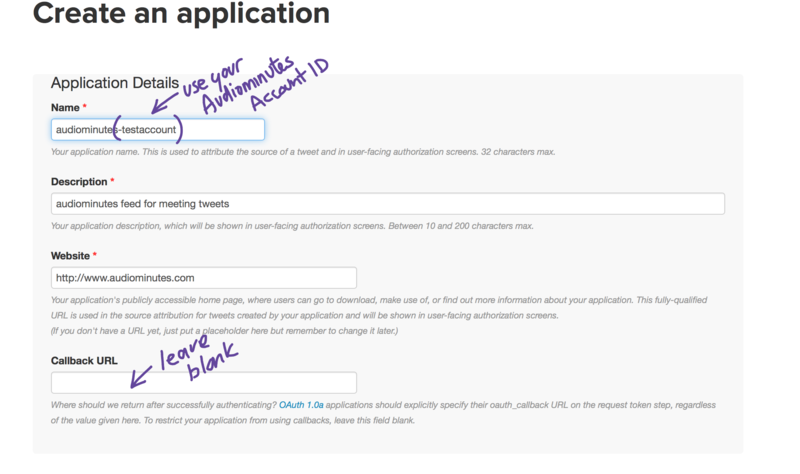 Firstly you have to set up aa ‘app’ within Twitter, then provide us with credentials that allow us to Tweet ‘as you’. You can revoke this permission at any time. 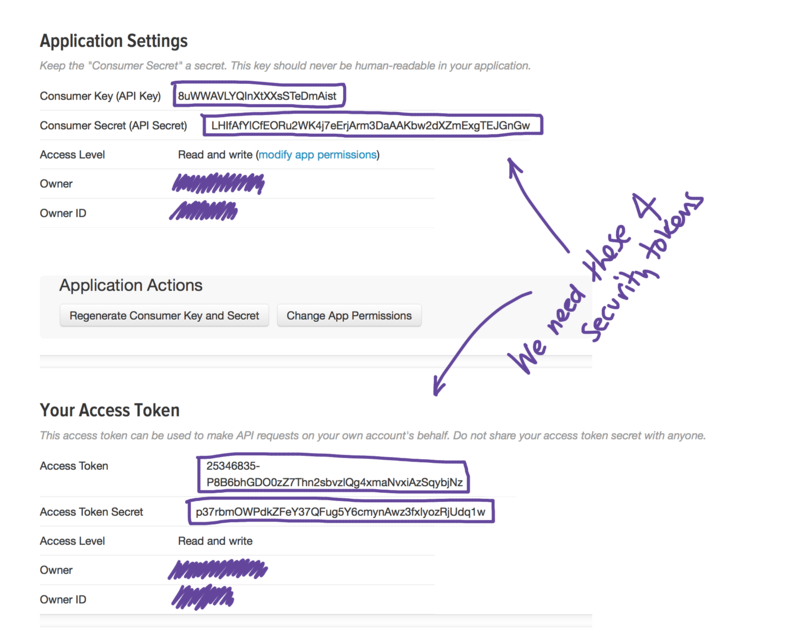 Firstly, log into your Twitter account, go to https://apps.twitter.com/ and click on ‘Create New App‘. Now please fill in the details to create your application. Now please copy these details (perhaps using a screenshot) and email them to support@audiominutes.com – we’ll let you know when your keys have been added. You can then turn on or off tweets from the settings menu on the Audiominutes app.